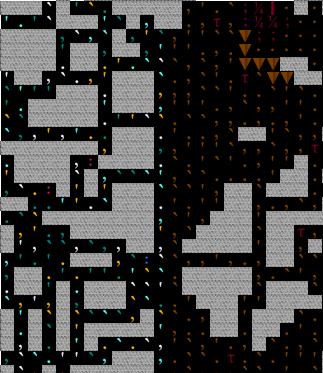 I've released a small patch - I noticed some of the tree and plant types weren't showing up like they were supposed to, but I managed to fix it - doesn't require a world regen but I'm not sure if it'd take effect in an active fort. Released a small patch - nothing major, thickened the tissues for the plant creatures (I noticed the Titaneaters were somewhat frail - if they still fall apart I may just make a custom material for the plant monsters) - also fixed a typo in the Morbishroom's description. The carapace tissue, defined in the raws of Coleopterans and Insectari Centurions, does not heal. [TL_HEALING_RATE:X] is for overriding the healing rate of a preexisting tissue and doesn't appear to do anything when defining a new tissue. [HEALING_RATE:X] is what you want when you're doing that, regardless of whether the tissue is being defined in a creature raw file or a tissue template raw file. 5 also seems a bit ridiculous for healing rate. Lower values -> faster healing, and skin heals fairly quickly at 100. I wasn't aware TL_HEALING_RATE was any different when defining a new tissue - fixed it right now. Completely forgot about updating those - sorry. Fleshed them out a bit just a while back. Released a small patch - aside from the above tissue mishap I altered the tissues for the plant creatures a bit so they're a tad thicker, and the boss creatures should also be a tad more rare. I noticed some of the plants weren't collectable via plant gathering - they should work properly now. Quick, mostly unrelated question, you know that monster you see in the cover picture? Do you have a specific creature in mind for it? It's supposed to be the Nightmare Weaver - one of the ilithid-like humanoids in the Dementia layer. Do you plan on adapting this mod to the upcoming release? I'm really enjoying it so far and I'd hate to have to sacrifice it for better artifacts. If something changes in the creature raws I'll definitely update it, though far as I can tell, it's mostly gonna be entity token additions. I'll more than likely add cross-support for my main modpack, so some of my own races will have access to the creatures from this pack. Alright, good to know. Thanks for replying. You might not be able to do anything about this, but I've found that several of the "non-aggressive" creatures, such as the scavenger flowers and overgrowths, are as aggressive as the bosses. The lashers are !!FUN! !, and so far they have proven themselves to be far more dangerous than ironbiter turtles. Rockchewers, however, are non-aggressive and are perfectly fine with dwarves being anywhere, whether 20 tiles away or sharing a tile with it. Yeah, the LARGE_PREDATOR token seems to be somewhat of a crapshoot - I noticed it myself how many of the bosses aren't always aggressive. I wish it was possible to create FB-esque underground monster. 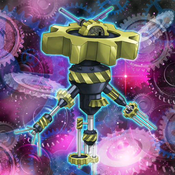 The [CRAZED] token makes them go nuts and kill everything. Also, mod looks really cool. Gonna start a fort with it. I'd rather not use that token unless it fits (so far I only use it for the Fallen Dragon). Don't want complete shitfests down in the caverns. Also thanks! Lemme know what you think! 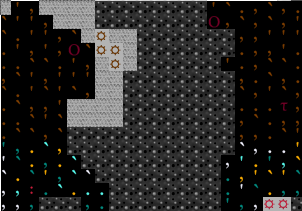 I went ahead and figured out if dry and wet cavern can meet on 1 embark. Few embarks, culminating in 1 16x16 embark later I conclude yes they can. Furthermore, I can confirm they're not stitched together aboveground biomes either. In that image, aboveground pre-embark east side is a grassland, while west side has two different rocky wastelands.